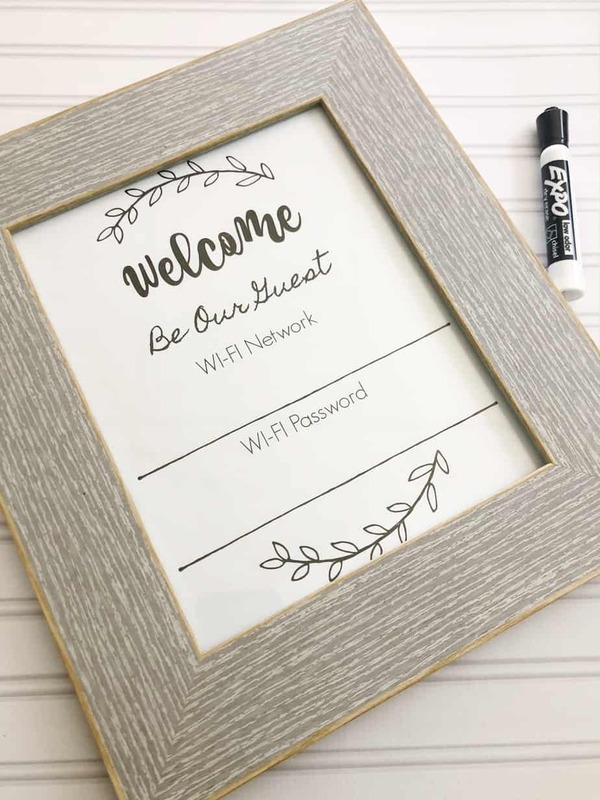 WiFi Network and Password Sign - Free Printable Download! 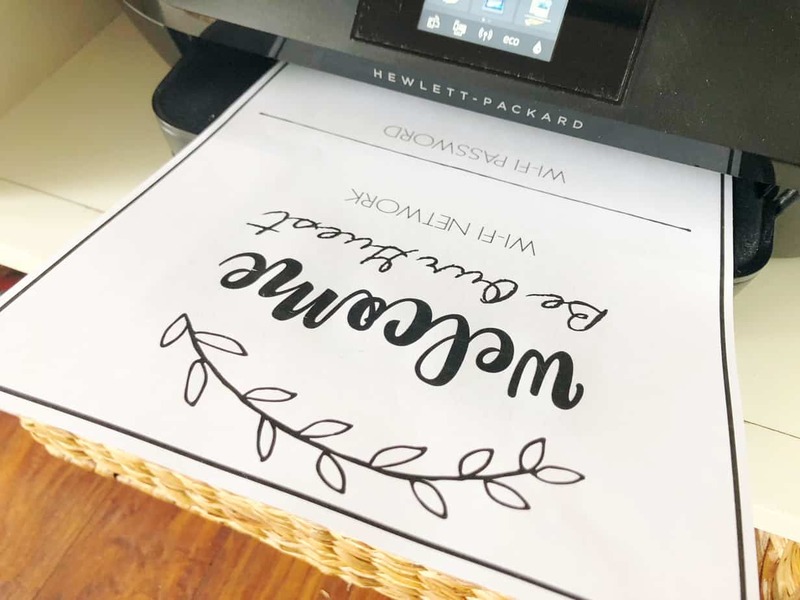 WiFi Network and Password Sign – Free Printable Download! 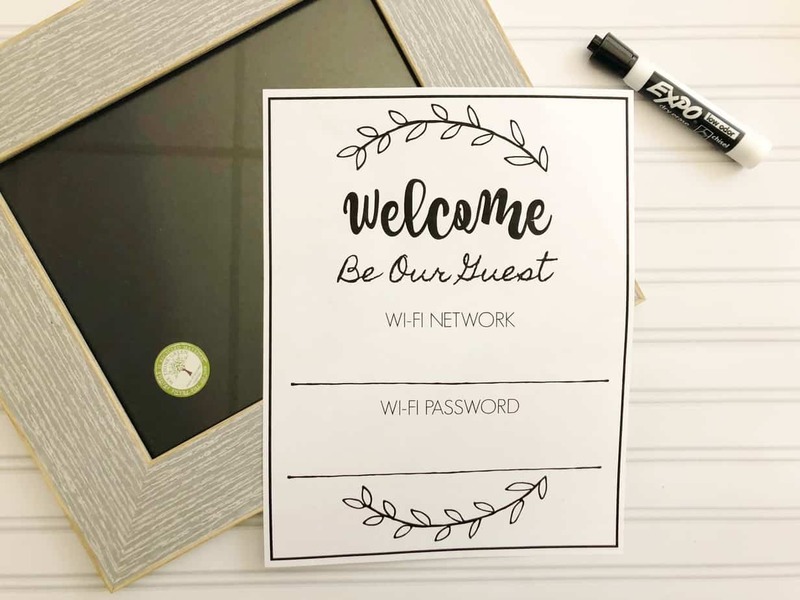 This printable WiFi password sign is free to download and will be appreciated by many guests in your home! Print the sign, add your WiFi Network and Password and display! 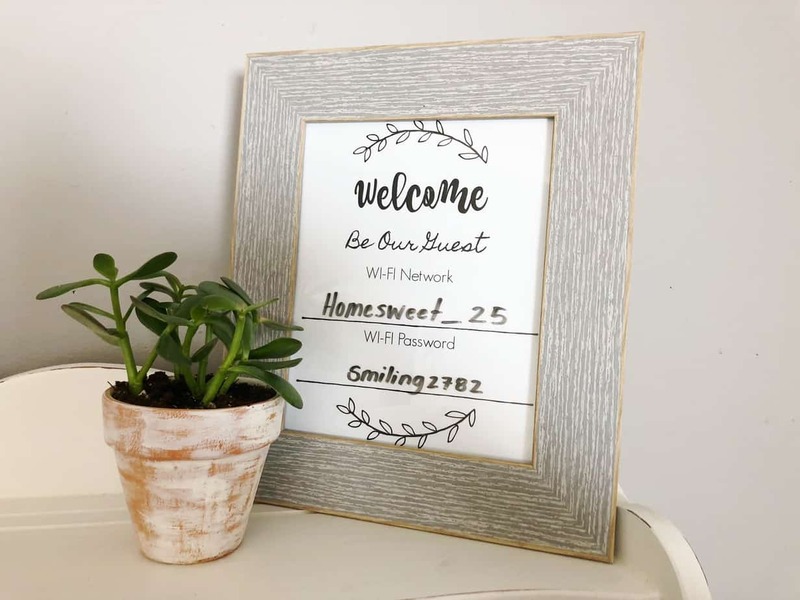 Download this free printable WiFi network and password sign to display in your home! I actually bought one of these a while ago and then realized it would be just as simple to make a printable myself and get a cheap frame, so that's what you see here! Print the WiFi Network and Password Sign onto white paper or card stock. Trim the edges along the inside of the black square. Open your frame, place printable inside and close up the frame. Use a dry erase marker to write your network name and password. I hope your guests enjoy the convenience of hopping onto your family WiFi with this handy dandy sign! I had dreams of creating a TV programming list too for our guest room, but since we switched all of our TV's to ROKU and stream cable, everyone has a TV guide and that's not necessary now! Just trying to find ways to make things more cozy and convenient when we have guests, which is rare but also always welcome! Love this! Thank you so much. Exactly what I was looking for! Hi Olive, thanks for stopping by!